After a beautiful day yesterday, we are back in the fog. 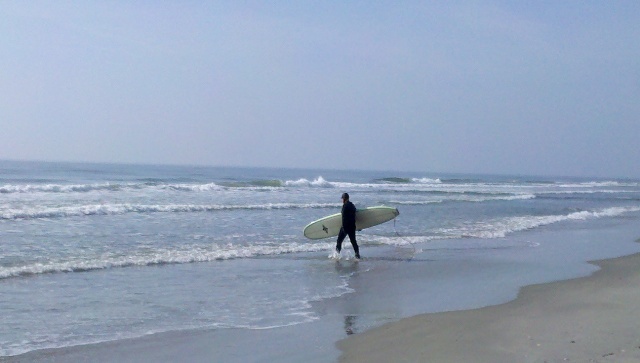 This surfer was dressed for the cool water temperatures, while people on the beach managed with bathing suits and shorts! Gorgoues weather !!!!!!!! Seasonal warmthness……Must have been great to be at the shore at this time. Yesterday was amazing- and it also was my day off from work. Long beach walk in the morning, and a few hours on the beach in the afternoon. I even needed an umbrella because the sun was strong! Hard to believe in March.